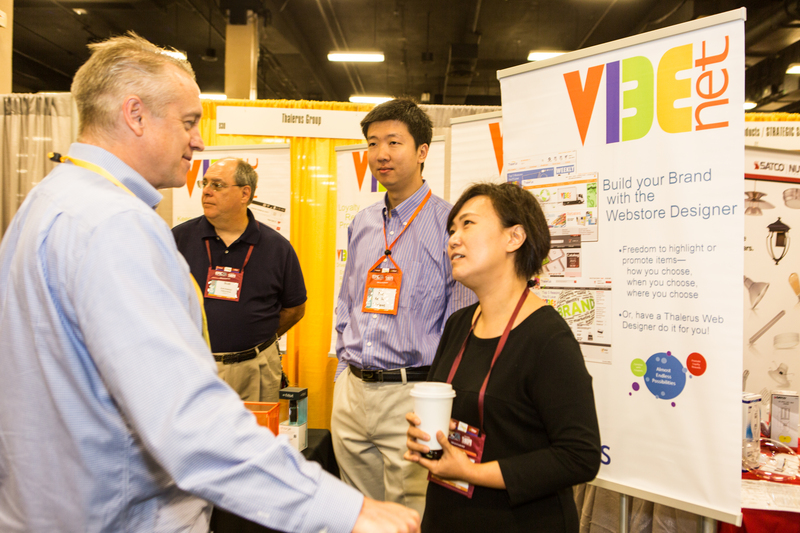 Nashville, TN—Thalerus Group promoted its VibeNet solution at the EPIC Trade show held in Nashville, TN in November. The trade show was jointly sponsored by Independent Stationers and TriMega buying groups. Owner and President Lillian Yeh, Chief Architect Ke Xu, and the Thalerus Group Marketing team welcomed many dealers seeking more information about VibeNet. It was also great to say hello to several of Thalerus' existing clients at the show. Thalerus Group will be participating in the Essendant Core Live Trade show in Las Vegas in February 2017.